Always intrigued by antique and modern tools, I made actual tracings providing life-size images of wood saw blades and weathered old farm implements. Living in northern California for many years, seeing the massive trees on the lumber trucks always fascinated me. As a child I toured a lumber mill and still remember the wonderful smell of the freshly cut wood. I am intrigued by construction and industrial materials and use the images to create texture and design in my work. 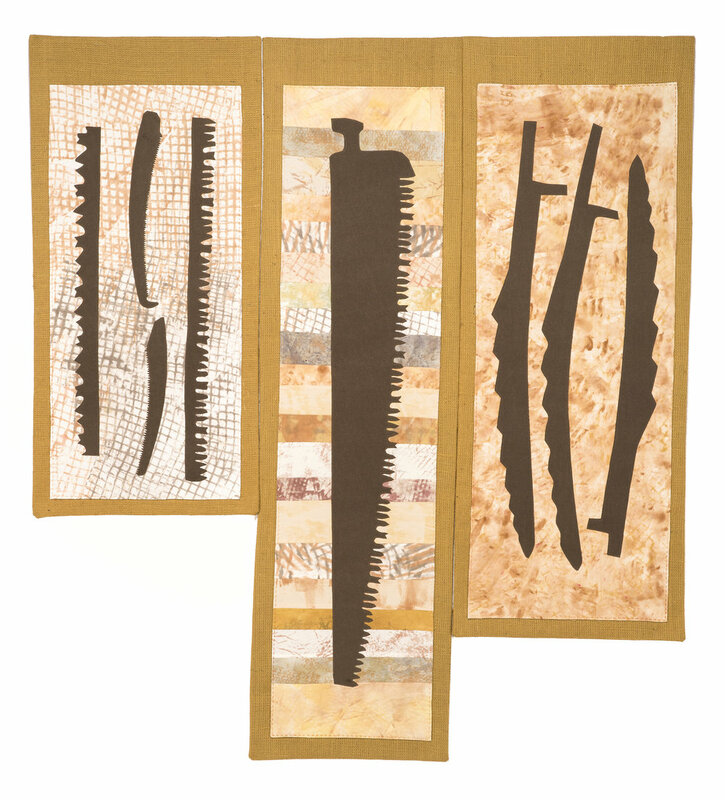 I photographed big lumber cross cut blades used in the redwood industry, traced the patterns of various types of saw blades in the historical exhibit at the county fair and made rubbings of modern blades at the hardware store. Some of these images have been used to dye-paint my fabrics used in this series. 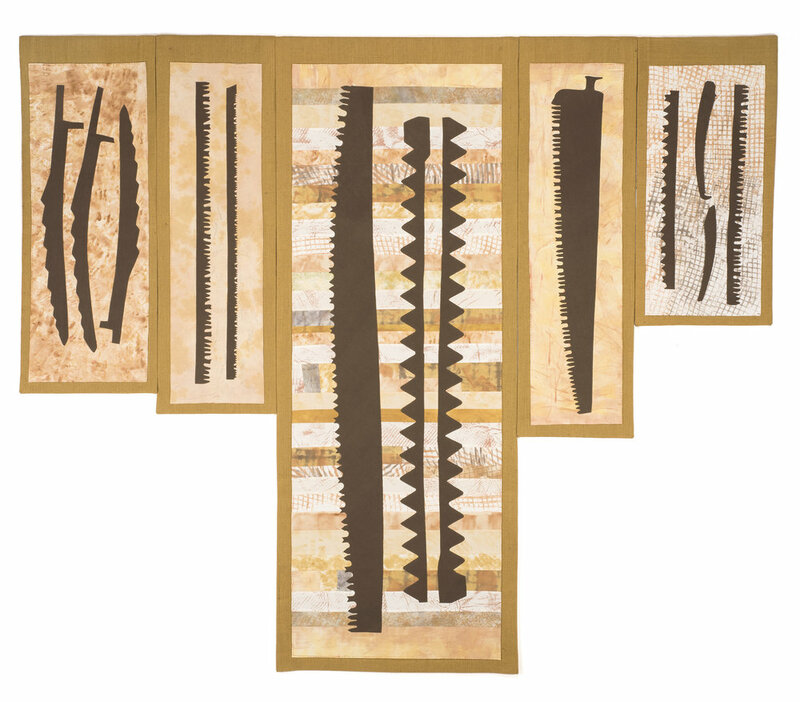 I find humor in using a free form takeoff of the traditional sawtooth block design combined with the saw blade images in my fabric.